At Quilt Market I did a presentation on what I was going to be doing next. 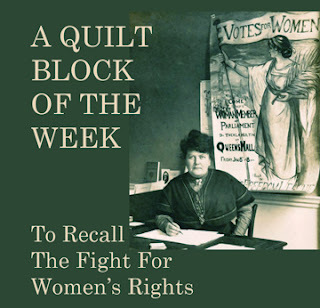 I enjoyed doing the 2011 Block of the Week so much I will do another one on the topic of the fight for women's rights. 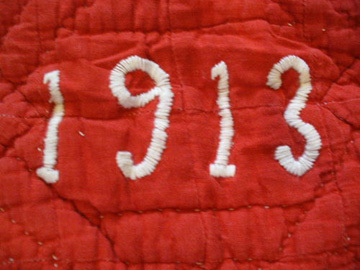 1913, the year before World War I broke out, was an important year in that campaign. I will start a block-of-the-week similar to the one I did here on the Civil War, traditional blocks with stories about the people, battles, themes and victories. I'll focus on the English-speaking countries (since that's where I can read the histories) with emphasis on England and the United States. American women won the vote in 1920. I'll post the first blocks in the fall. I'll let you know here when the posts will appear here. I'm reading the histories and Becky is making the blocks now. I look forward to the history and the blocks! Thank you so much for both. I'm looking forward to this new quilt. I so enjoyed the Civil War quilt and history that you posted. Mine is ready to be quilted and I love it. I will look forward to the history and blocks. It is amazing what our mothers and grandmothers have struggeled for and what rights we have been given.In Norway where I come from, every women got a right to vote in 1913. Among the nordic countries, Finland was the first country to give women rights to vote in 1906. Denmark 1915 and Sweden 1919.In Norway we had a lady, Cecilie Thoresen, who fought the battle to study at University. Up to 1882 it was the opinion among men in my country that women became ill by to much thinking! !This was even said in the House of Laws!! Cecilie succeded in changing the laws and women became the right to study at University in 1882. I should bee very glad if you dedecated a block to her!! By the way: In Switzerland the women got right to vote in 1971!! and Lichtenstein as late as 1984. The struggel is not over. This is wonderful news - I'm so looking forward to this new Block of the Week The international aspect of the subject will add new dimensions to our quilt-and-history lessons. What a wonderful idea! I am going to participate. In the Netherlands woman were given the right to vote in 1919. The first time they really voted was in 1922. The most important women fot the movement was Aletta Jacobs I have read a biography on her life. She was founder and president of the Dutch organization for the right of women to vote. 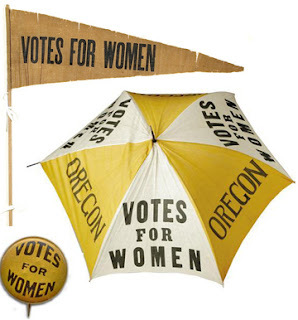 And this organization was a member of the International Woman Suffrage Alliance. Aletta worked together with Anna Shaw and her friend Lucy B. Anthony of the National American Women Suffrage Association. The International Woman Suffrage Alliance in 1908 held a congress in Amsterdam. Aletta Jacobs organized it. She also new Carrie Chapman Catt and in 1911 and 1912 they made a long journey around the world together for womans right to vote. Your history and our history is linked together. That makes this project even more interesting for me! This sounds like a fun BOM, look forward to seeing the blocks. How exciting!! I loved CWR blocks, and I'm looking forward to this one! Perfect timing too! Should be finished with a couple of my projects! I'm looking forward to this. My CWQ top is almost finished. So I can start another project. I very uch loved the theme you choose. Really enjoyed your Civil War BOTW - this new adventure sounds perfect!! Looking forward to your postings. I loved your Schoolhouse session at market and even won "A Book of the Saints"! I'm looking forward to your new block of the week. I can't wait! My grandfather was on of 13 children - 12 boys and one girl. There was an article about their being the largest voting family in Boston (1915.) My great-aunt, who was only about 20 at the time, is quoted as saying, "and when women get the vote my Mother and I will be first in line." Thrilling news. I recently received an email from a friend which described some of the sufferings women endured while they protested for our rights. I am ashamed i knew so little . One can see from these comments your theme has struck a cord all around the world. And as one said, the need still exists in parts of the world. Thank you so much, I definitely cannot wait for it to start. We all enjoyed the Civil War Saturdays so much. You made my day with this news. I worked diligently each week on the Civil War blocks although my diligence on the 60 setting blocks is not quite as intense.I really enjoyed the discipline of the weekly blocks. And as a New Zealand born quilter I will have a more personal connection with this new series. Thank you for doing this for us. Looking forward to this! Thank you for inspiring us with another project. I can't wait. I really enjoyed the civil war one and the quilt is used daily here. Yeah!!!!!!!!!!!!!!!! I am so excited about this! Just the push I needed to get the civil war blocks finished, so I can start a new project! Hooray, another Barbara Brackman quilt block of the week. I have missed getting up early Saturday morning and checking for the new CW block. I'm sure you will have a new fabric line to go along with this, so anxious to see what fabric we will use. that is great news, I need to get, (and keep) organised. The civil war quilt was so much fun. Woohoo. Very exciting. Thanks so much. I really enjoyed working on the Civil War quilt. My mom and I worked on it together and spent a lot of time discussing the history. I look forward to more such experiences with this new history lesson. Thank you again. Yea! Looking forward to this new one. I didn't find the Civil War one until it was almost done. I have gone back and read most of the history, but just couldn't make all of the blocks in time. So I figured that I would just wait for the book. 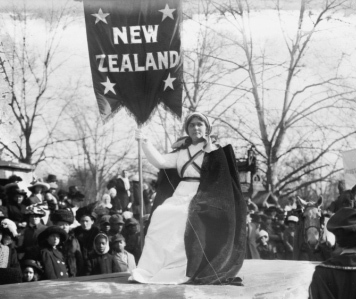 There are many horror stories connected with Women's Suffrage. We need to know just what our "fore-mothers" went through to get the vote. Perhaps it will be a more precious commodity to all of us. Thank you for all you do! I must be anon, but I am really Sara. That is great news. Looking forward to it. What exciting news! Thank you so much. I have been in BOW withdrawal ever since the CW one concluded...I am definitely in and look forward to learning as much as I did the first time!! Thank you! I greatly enjoyed your Civil War series, and will be looking forward to this one! Uh-oh. Feminism plus quilting means I won't be able to resist, not a chance. My grandmother was in her forties when women got the vote. I can't even imagine it. And my mother (her daughter) when she was a little girl had a cat called guess what, Carrie Chapman Catt. So the fall, then? That gives me till then to finish my Civil War BOW quilt, right? Loved making the Civil War BOW, and can't wait for the Women's Suffrage quilt. I am already thinking about fabrics. Will you have a line of fabric that showcases this event like you have done with the Civil War? If not, I am thinking about using William Morris inspired fabrics. Great ! I enjoyed doing the CWQ so I can't wait for the next BOW ! What exciting news! I was thrilled to see you will be doing another block of the week and cannot wait! This is awesome news! The Civil War project was incredible and mine has 4 more rows to attach then done! Looking forward to "visiting" my friends weekly again and seeing the stories and blocks come together! To know Becky is making the samples and will guide us again is beyond the best news! Thank you so much for all you do for us!!! YIPEE!!! Thank you Barbara and Becky, looking forward to another wonderful project. Love the subject for this quilt. This is the BEST news! I found your Civil War BOW too late to participate in the group project, but I'm having fun with the blocks solo. I am so excited about your new project that I can hardly wait until it starts in the fall. If you had front row seating, that's where you'd find me. Thanks so much! oh, boy! Our Guild (almost your neigbor, Barbara) has a challenge in July of doing anything that has an elephant or donkey or both--and the Guild member organizing it said to "honor our foremothers"--so I'm doing just that--have a wallhanging saying "Suffragette Stars, Amend 19, 1920, KS 1912" and has both a donkey and an elephant--both ladies! And the four corner blocks are purple, green and white stars. I'm having fun making this! I am so happy there will be another botw and I love the topic! I've set a goal to have my civil war top together before the next one starts :) Great motivation for me. Barbara and Becky.....you guys rock, I am so darn excited!!!! I am looking forward to this program. 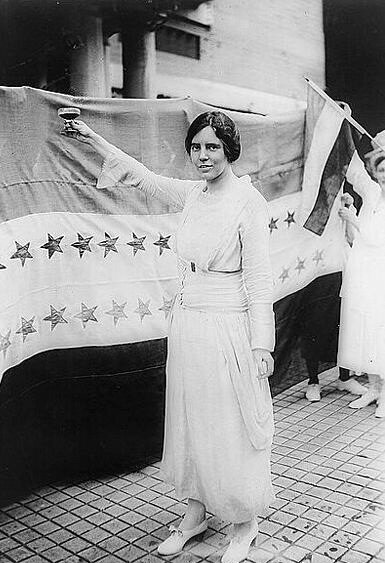 What brave women did to earn the rest of us our rights was truly incredible. Did you know that the first woment to serve on a jury did so in Laramie, Wyoming in 1870. The newspaper printed taunts like: "Baby, Baby don't be in a hurry, your mama's gone to sit on a jury." A woman also acted as bailiff for the first time at the same trial. It was the Andrew Howie Case and I know about it becasue Andrew Howie was the brother of my 2 times Great Grandfather! Thank you. I am eagerly waiting for the first block to be posted. I really enjoyed the stories you posted each week with the Civil War blocks and I know I look forward to reading each of the entries with the Women's Suffrage blocks. I have a great story about my grandmother concerning the right to vote and her ending up on two 1920 census' from two different states. I couldn't find your email to share it with you but if you're interested just contact me at my gmail account. I'm really looking forward to this. I enjoyed the Civil War Quilt so much. I just posted my finished quilt on the group flickr site. Thanks again Barbara....it was a fun ride. This is great news! Thank you for doing this. I missed the last one but plan on following along this time. I'm so excited about this! I can't wait to *read* the history that gets shared with the blocks. That was my favorite part of the Civil War blocks! I found it quite fascinating! I can't wait! The Civil War BOW was so much fun. Sounds great.Can´t wait to read about the history though I didn´t do the CW,but enjoyed reading your tutorial and history.Thanks!! Well, Barbara, Rosemary Youngs says that I NEED to do this, so I think I will! We'll be doing this project together (so she can hold me accountable)! LOL. Sounds like a lot of fun! Very exciting news. I can't wait! Wow, I had so much fun doing the last BOW and the history lessons. I am so looking forward to this new BOW. My Civil War quilt is at the quilters and should be ready by gift-giving this December. I'd really LOVE to have your book in hand to give as well when I give the quilt. Any release dates yet?